Honolulu Tiki Bar-Pool is very nice! Very nice design of and layout of the build! It looks so very nice how you have placed the tiki bar counters and the bar stools in the build! It looks very nice how you have placed the drinks display cabinets on the wall. The pool is very nice! 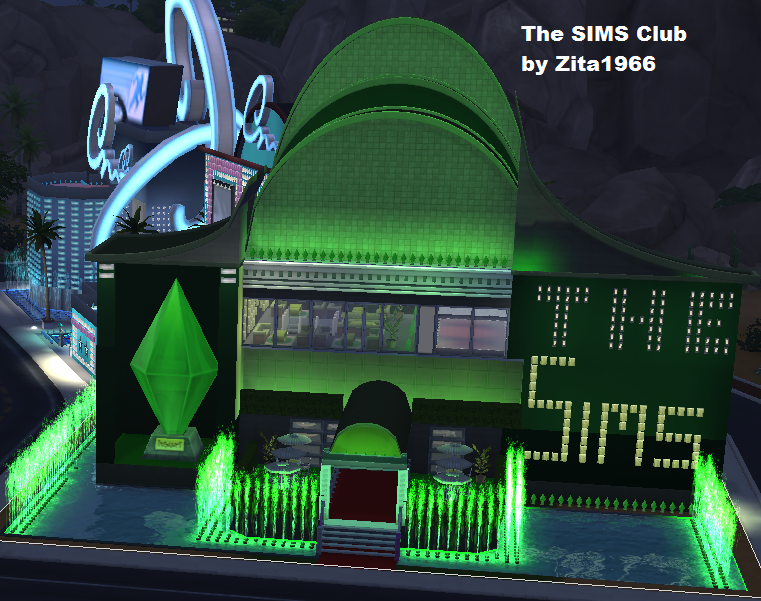 Sims will have fun swimming in the pool or enjoy sitting poolside on the stools having a drink from the bar. The signs that you have placed either side of the front of the build add a great look to the bar venue. It looks very nice how you have placed the plants, flowers and rocks on the edges of the pool. Nice seat bench sitting areas there for sims to enjoy sitting resting there in the outdoors air. Sims will enjoy watching tv whilst sitting having their drink. Great lounge areas. It looks great how you have used the arches there for the entrances to the lounge area. Sims will enjoy listening to music from the stereo whilst sitting on the sofas there. Down and Out Trailer Park is great! 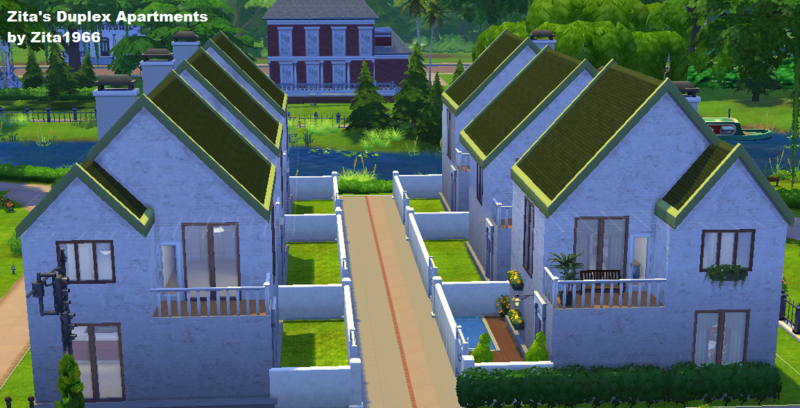 It looks very nice how you have done the exterior of the homes as trailers! The curved roofing and the way you have used the awnings looks great! Very nice front patio area for one of the trailers. Sims will enjoy sitting at the table there in the outdoors air enjoying the nice sight of the sunny yellow flowers. Sims will enjoy cooking on the outdoors grill and eating their meal at the umbrella covered table. 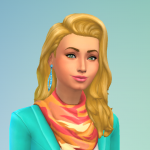 Child sims will have fun playing on the monkey bars. Great gardening nook area for sims to enjoy growing and harvesting plants in the garden planters.The gnomes near the grills look cute! Nice seat bench porch sitting area in front of one of the trailers. Sims will enjoy sitting there looking at what is happening outside. The floral cart is a nice touch there. It looks great how you have used the pipes in the build. The enlarged truck looks great! The hose is a great touch on the side of the trailer. The type of steps you have used suits the type of build. Very nice exterior design of Palace de Roussouw! It looks so very nice! The coloured water fountains look so very nice! It looks great how you have done the towers! The water areas at the front build look great! It looks nice how you have done the two bridge pathways to the front entrance. Very nice triangular balcony areas. The design of the home is so very nice! It is a very nice photo of your palace at night time. The exterior of Beverley Hills Bonanza is very nice too It looks very nice how you have placed the flowers and plants on the edges of the home. Very nice pool area! The pool gnome looks cute there! The patio areas are great! It looks nice how you have placed the plants around the water fountain. It looks nice how you have placed the windows in the build. The outdoors covered over veranda in Val de Gra Villa is very nice! Sims will enjoy dining at the table there in the outdoors air, and just enjoy sitting resting on the seats.Nice pool area in the build. The placement of the windows in your home looks very nice here too. The dormer is great! Your builds look nice! I especially like the Tiki Bar! Beautiful lighting and decor! Interesting architecture! The slanting bits looks nice! I see that you have created a carport/garage! Wish we had cars in the game. 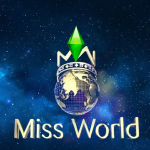 Move your college friend sims or a group of friends into this lovely complex. 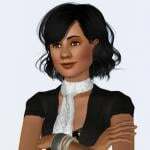 Ideal for students, Single sims or young family. There r 6 identical units in this complex. Thnx yanti68 - it is one of my current fav's, especially after Maxis also fav'ed it. The roofing of My Fair Lady looks very nice! Great exterior design of the home! It looks great how you have done the curved roof carport! 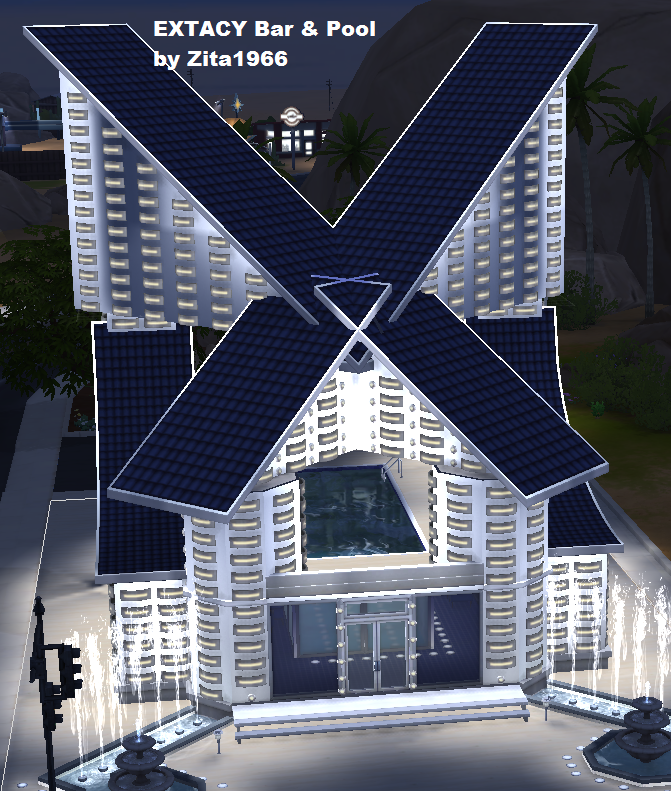 The layout of Zita's Dulpex Apartments looks great! It looks great how you have set it up as a complex of homes. 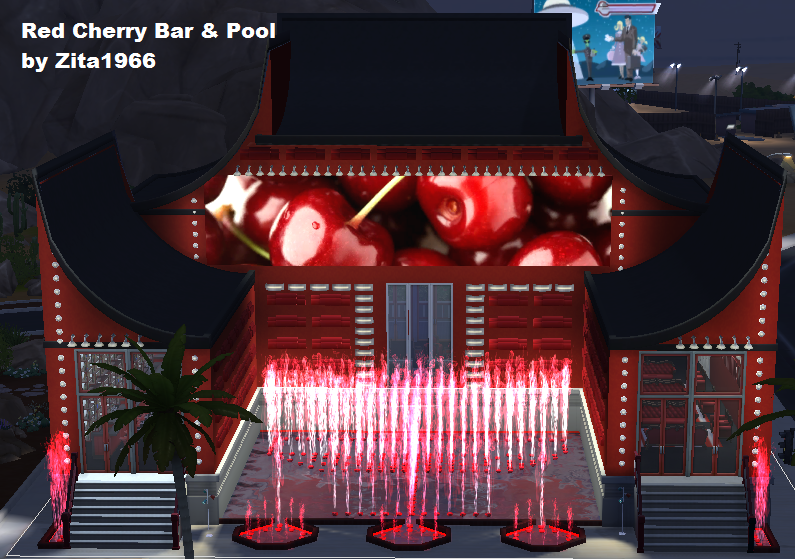 Another hot spot in Simmie town - I love the pool between the 2 x'es. Party away!